My dress is pressed. The wine is on its way. 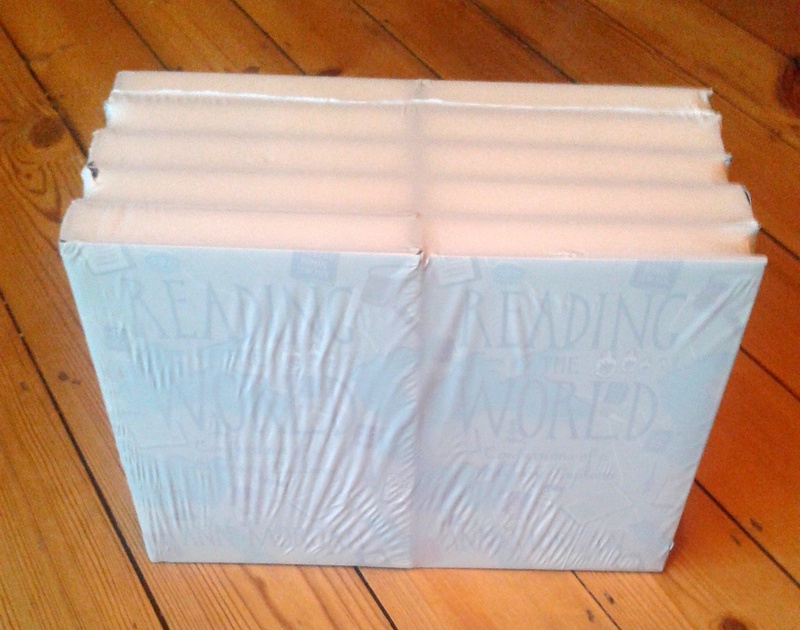 In a few hours’ time, I’ll be taking those shrink-wrapped copies of Reading the World in the picture above to central London to join a mountain of others at the launch before my book goes on sale tomorrow and I become a published author. I’m excited to see my friends, family and many of the people who helped make the book happen. I’m eager to hear my editor speak about the project. And I’m looking forward to getting up on stage to read an extract out loud. But for now, sitting in the peace and quiet of the living room where this journey started just over three years ago, I’m taking a moment to reflect on this project and where it has led. I’m thinking of the people around the planet who shared their knowledge and experience with me, the supporters who cheered me on, and the amazing stories we found together. Human beings and books are capable of extraordinary things. Congrats 🙂 All the very best for the book ! Même si tu ne me vois pas lors du lancement, je suis là ! Je te tiens tous les pouces que j’ai et je te souhaite mazel tov. Well done! Congratulations from Sweden! Sorry I can’t be there – but what an extraordinary journey it’s been! Enjoy the launch! Thanks very much – I will! Congratulations! Such a wonderful project! Congratulations! I’m looking forward to reading your book! Congratulations. The buzz about it seems to be good. May it do well. So exciting! It’s so rewarding to see all the hard work you’ve done come into fruition. I hope you do well, and this is an inspiration for me being that I hope to launch my first novel this summer. Thanks and best of luck with your novel. What’s it called? Thank you. My novel is called Like a Dream. It’s a YA mystery. Congratulations on the book. I’m new to WordPress and didn’t get the chance to reading much of your blog yet. Mais, je vais rattraper le temps perdu. Avec ou sans Bernie Bonvoisin :-). Thank you et bon voyage! Reblogged this on Yosuke Asaka (浅香洋介). Hope the evening went very well and you enjoyed being the star. Bravo! Thanks – it was great fun! I have just started Reading the World… your book Ann Morgan, Congratulations! I love it. Much in common at looking at so many books and just… wondering. Yes, we need this…examination in a candid way. The comments on Cloudstreet are great … . “the doorstopper…” I had no idea this was going to be so interactive! I am happy you read…. and read my book too! Thanks Philo! Glad you’re enjoying it. Congratulations! Goodluck with the book – it looks great! Yes, finished it fast! Enjoyed it and wish you all the best with the launch… and with the second book!